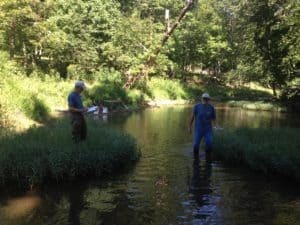 Level 3 Stream Survey results for Sleepy Creek near Burnt Mill Bridge August 19, 2016 8:30 am. 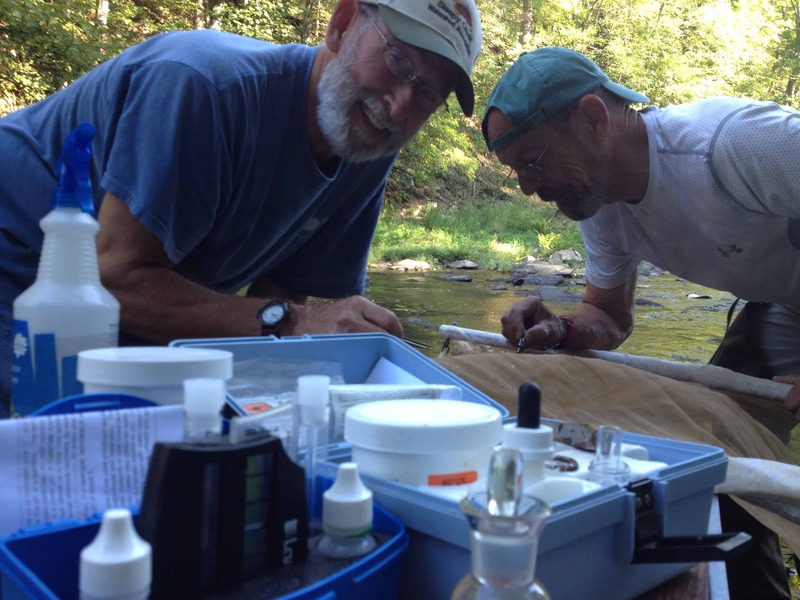 There were 228 low tolerance benthic macroinvertebrates represented by 9 types, 239 ‘critters’ of 7 types in the medium tolerance category, and only one in the high tolerance category. Click on our ‘Stream Monitoring’ category (to the right) to see stream monitoring results for other Sleepy Creek Locations this year. Another great day for stream monitoring at Sleepy Creek. 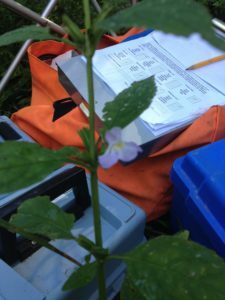 Norm Dean identified a Monkey Flower (left picture) at our data compilation site and we netted hundreds of Benthic Macroinvertebrates, which are seen here being collected by Bob Meadows and Stan Oaks at our stream-side station. Ph and dissolved O2 tests in the foreground performed by yours truly. Check back to this site to find out when you can join us on our next outing! 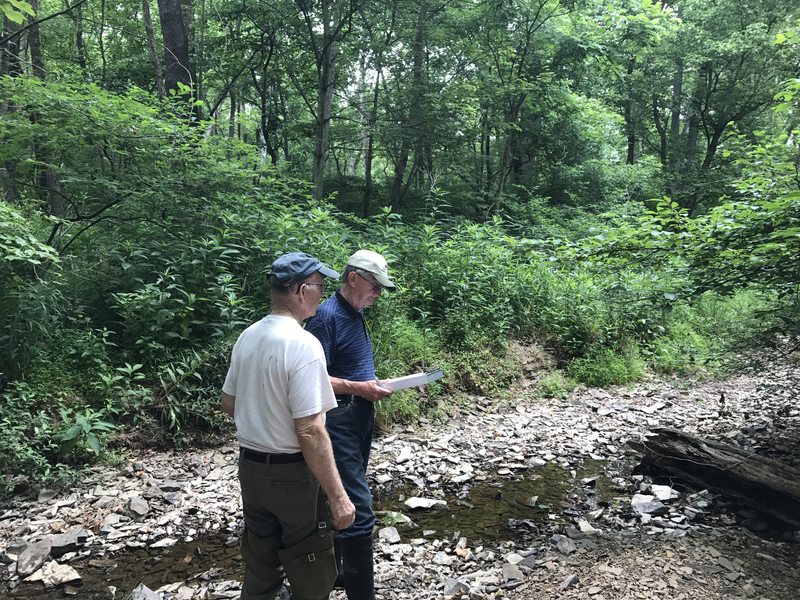 Today was perfect weather for a stream monitoring as Sleepy Creek members Norman Dean (left) and Bob Meadows are seen here doing the pebble count. Tell your co-workers about our new Safe Waters, Healthy Waters Guide! associated with drinking water, shellfish consumption, and recreational water contact. 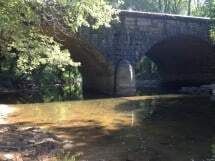 For more information about the Safe Waters, Healthy Waters guide, contact Laurel Williamson, Stormwater and Watershed Planner, Center for Watershed Protection, at lw@cwp.org. 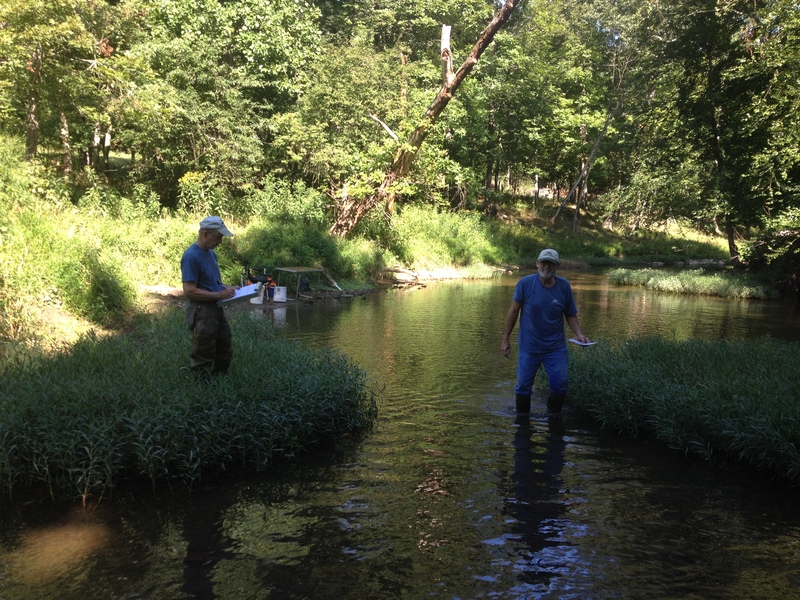 Stream Monitoring season begins, results for Sleepy Creek at New Hope Rd. .6 inches of rain in last 48 hrs. Water was clear and odorless. There were 180 low tolerance benthic macroinvertebrates represented by 11 types, 30 ‘critters’ of 8 types in the medium tolerance category, and 14 underwater bugs of 4 types in the high tolerance category. Sleepy Creek nears flood stage on April 20, 2015 after 2 inch rainfall the night before endangering cropland and promoting excessive stream bank soil erosion. Video taken from the Spriggs Road bridge at the intersection with Winchester Grade Road.